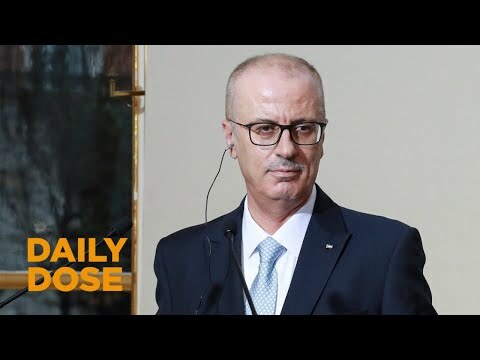 RAMALLAH: Palestinian Prime Minister Rami Al-Hamdallah has tendered his resignation and that of his unity government to President Mahmoud Abbas, he said on Tuesday, dealing a blow to faltering reconciliation efforts with Gaza`s Islamist Hamas rulers. The government will continue to carry out its duties until a new one is formed, he said in a statement issued after a weekly cabinet meeting. Hamdallah, a little-known academic, headed the national unity government formed in 2014 and led the West Bank-based Fatah`s reconciliation efforts with Hamas, which seized power in Gaza in 2007. The two groups signed a reconciliation deal two years ago which set in motion a plan for Abbas`s Palestinian Authority to resume governing in Gaza and take up control of the coastal enclave`s crossing points into Egypt and Israel. But disputes over power-sharing and disagreements over policy towards Israel have hampered the deal`s implementation.